The latest stockman session began with basic finisher pig care, with the group discussing daily checks, feed management and stockmanship. 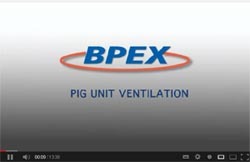 The second half of the session was about ventilation – a hugely important topic as poor ventilation on pig farms can be a key barrier to improving pig health and productivity. The group talked about all types of ventilation and the building types each of them has on farm with ventilation consultant John Chambers. It was a lively discussion! The next session of Stockman North will be the Abattoir visit on Wednesday 12th June. To find out more from John Chambers, check out this video. Of course, ventilatin is very important. I think the discussion with John Chambers was very interesting and useful.